The Communion Veil: The Last Age Before the Messiah Comes: The Age of WAR. The first age was the Age of the Prophets, This is the age of the creation of Man, the coming together of the Chosen people, the House of Israel, and their purification up to the coming of the Messiah. We see God crying to His chosen children begging for their repentance and for them to turn away from their sin. The second age is the Age of the Messiah, Jesus Christ. This encompasses His holy conception in the womb of the Virgin Mary and continues through His life, miracles, preaching, suffering, death and resurrection. This age was not completed at the Resurrection of Jesus, but continuing till the present day with the fruit of the apostolic spreading of the Word of God via the Holy Spirit. The last age that has started, and is continuous with the Age of the Messiah is the Age of War. 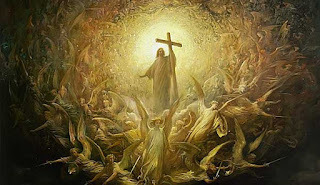 This is the most terrifying of the three ages, because at the end of this age the Lord Jesus returns. Whenever there was a danger to God's people, God has ALWAYS sent a Prophet, a Messenger to warn of the danger, and beg the people to repent of their sin and turn back to our Holy God before it was too late. Too late for what? For Christ's return which is closer than anyone can imagine. If you understood the terror of the Cross you would listen to me. What should terrify us is what it truly means that God Jehovah took flesh and submitted to the Crucifixion for our Salvation. This brings a great responsibility on our part to be HOLY. Yes, God is infinitely merciful and does not desire the loss of one soul, no not one. But God is perfectly just, and when He returns as the just Judge, there will be no more time for mercy! Where the economy of the soul is at that moment can determine the souls destination for ALL ETERNITY. Do not let the light be extinguished at night unless you have reconciled yourself to God. God always prepares His people for the next big event in the economy of Eternity. God sent the Prophets, they were abused, scoffed at, killed. God sent His Son, and He was Crucified. But GOD ALWAYS PREPARES THE WAY for His next arrival! But this preparation is very different. Yes, God is sending messengers to give the hard truth to as many as possible, but there is something more this time. God is training and preparing Warriors for battle with the demons for the souls of the lost. The state of sin in the world is so great, it is greater than the time of the flood of Noah. So God is sending those who will lay down comfort and sacrifice in pleading with God for the blackest of hearts. God does not need those He sends, but by what those sent will have to suffer for the sake of the Gospel and speaking the truth, God will bring souls to repentance and at the same time purify the Warrior for a greater battle ahead. 26 'As it was in Noah's day, so will it also be in the days of the Son of man. 31 'When that Day comes, no one on the housetop, with his possessions in the house, must come down to collect them, nor must anyone in the fields turn back. Now is the time for Holy Souls, innocents, that will willingly lay down their comfort for the sake of the conversion of sinners. We can no longer deny that we are at war with the devil for the souls of the lost. We can do nothing for God but we can plead to God and sacrifice something of comfort for our brother in penance for his or her sin. The Prophets and Preachers of this age must speak the truth of God, and the Warriors will make war on the Earth battling the devil. Woe to those who are called to preach the Gospel at this time and reject this call! With the Stations offered for a Country, a City, or just to bind a great sin in the way God would have it bound, if our heart is aligned with love for God and seeking only the salvation of lost souls then we can be in our own home church, and at God's will , we can wage war against the demon on the whole Earth. With the Holy Mass, the Stations, and the Holy Rosary, if God allows it, the Catholic can change the face of the Earth. (The trick is you must remain hidden). 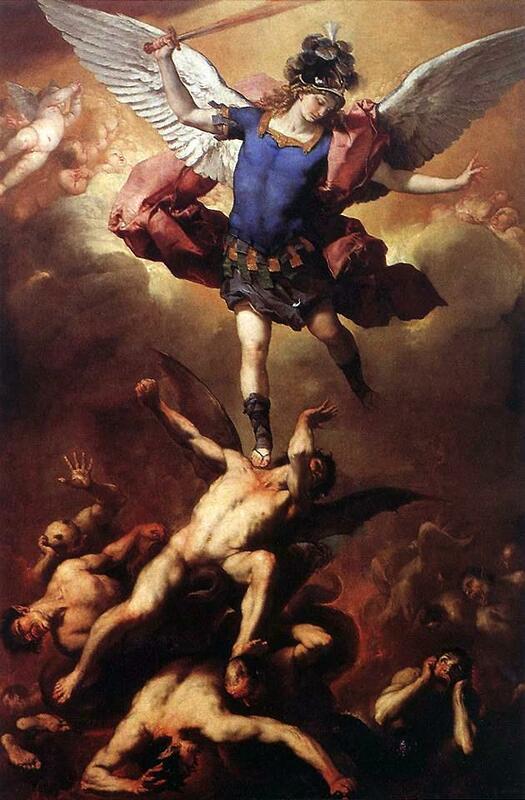 With God with us and with St. Michael the Archangel and the Holy Angels to defend us, who can come against us? The Rosary is my weapon, humility is my shield and Holy Confession and Holy Communion are my armor in this fight. We have been prepared for the Messiah, we have had the Messiah come, and now...we are preparing for the return. Do I know when this is? No. No one does, and if they say they do, they are either a liar or deceived by the devil. 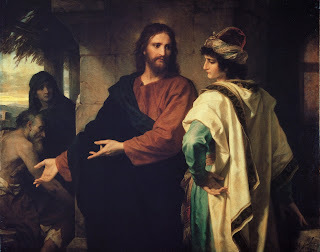 "When the Son of Man comes, will he find faith on the Earth?" This is our hourglass so to speak, the only measure given us of a possible timing of His coming. As the world becomes more atheistic and secular, so is the time so much shorter for our repentance and/or conversion before our Lord comes again. Now is the time to be AWAKE!